There’s no excuse for not exercising in our Fitness Center at the Lodge! The room is currently open weekdays and weekends from 6:00 a.m. until 9:00 p.m. The Weight Resistance Area includes Keiser stations that can be used to strengthen the body’s major muscle groups. Free weights are also available. 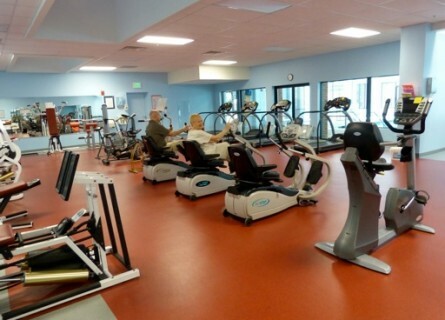 The Cardio Area contains treadmills, stationary bikes, a recumbent bike, and recumbent steppers. Bring your iPod so you look like you are having fun. See Fitness Center rules.